The urban adventure takes place entirely within Waterdeep, and features four different villainous paths and a disappointing new map style. It’s been a full year since the last Dungeons & Dragons Fifth Edition campaign book. I had high praise for Tomb of Annihilation, and it’s been a long time since D&D fans have had any official new content to savor. The urban adventure of Waterdeep: Dragon Heist is far removed from the more exotic locales of Ravenloft, Chult, and the Underdark. Waterdeep is the largest city on the Sword Coast with plenty of content to offer, but it’s more about warehouses and gang wars than, well, dungeons and dragons. Unfortunately the minimalist blank ink on graph paper map style is exacerbated in a digital format like Roll20. 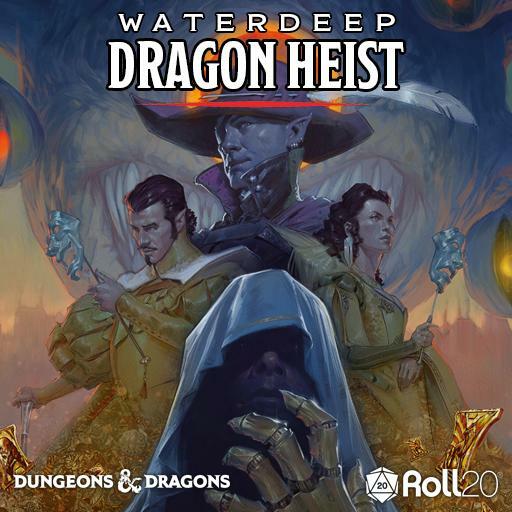 Combined with the fact that it’s solely a Tier 1 adventure for levels 1-5 with the price tag of a full campaign book and Waterdeep: Dragon Heist has the dubious honor of being one of the weakest – if not the weakest – fifth edition adventure yet.